In his recent decision in the case of Yaduouga v. Denis, et.al., No. 2009-CIV-53 (C.P. Lacka. Co. Dec. 10, 2015 Minora, J. ), Judge Carmen D. Minora of the Lackawanna County Court of Common Pleas addressed various issues raised by a Plaintiff in a Motion for Post-Trial Relief following a medical malpractice case. Of note, the Plaintiffs sought a new trial on the grounds that the Plaintiff allegedly suffered presumed prejudice because the Plaintiff was denied the right to individually voir dire jurors who knew the Defendant doctors and/or may have had a situational relationship with one or more of the Defendants. 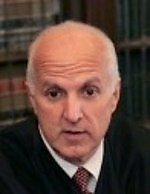 In his Opinion, Judge Minora noted that, Plaintiff’s counsel inquired whether any of the prospective jurors knew any of the physicians involved, along with follow up questions in terms of whether those prospective jurors who knew a member of the Defendant medical facilities would be able to render a fair and impartial verdict. 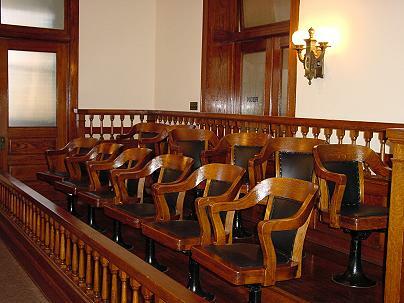 According to the Opinion, while counsel for the parties and the court were striking jurors for cause, Plaintiff’s counsel asked the court to be permitted to individually voir dire prospective jurors, specifically the ones who indicated that they knew a member of one of the Defendant medical facilities. In doing so, Plaintiff’s counsel cited the case of Cordes v. Associates of Internal Medicine, 87 A.3d 829, appeal denied 102 A.3d 986 (Pa. 2014). At trial, the court rejected the Plaintiff’s request and a jury was eventually chosen. The Plaintiff later raised this issue again in post-trial motions, which the court again denied. In so ruling, the court noted that a party’s right to impartial jury does not entitle that party to a jury of his choice. See Op. at 7 citing Com. v. Carson, 913 A.2d 220, 235 (Pa. 2006). Ultimately, the decision on whether or not to disqualify a juror was found to be within the trial court’s sound discretion. Id. [citation omitted]. After reviewing the test for determining whether a prospective juror should be disqualified, the court found that there were no improprieties with regards to the selection of the jury in this matter. Judge Minora noted that a review of the record indicated that the prospective jurors at issue indicated that they did not know the named Defendant doctors but only indicated that they knew or that they or a family member may have been treated by other non-party members of the Defendant medical practice. Those prospective jurors were questioned on whether or not they could be fair and impartial and indicated that they could. Judge Minora emphasized that none of the impaneled jurors knew any of the Defendant doctors personally, had worked with them, had been treated by them as patients, or were in any employer-employee relationship with those doctors. As such, the court found that the Plaintiff had failed to establish that any of the jurors at issue had any direct close familial, financial or situational relationship with any of the Defendants. Accordingly, the court again rejected the Plaintiff’s claim of a presumptive prejudice by virtual of possible indirect relationships between the jurors and the Defendants. Judge Minora also noted that there was no civil mandate or rule of procedure otherwise requiring the court to allow individual voir dire in a medical malpractice case. Judge Minora ended his discussion of this issue by reiterating that, while all parties to a trial are entitled to a fair, objective and impartial jury of their peers, no party is entitled to a jury of their own choosing.